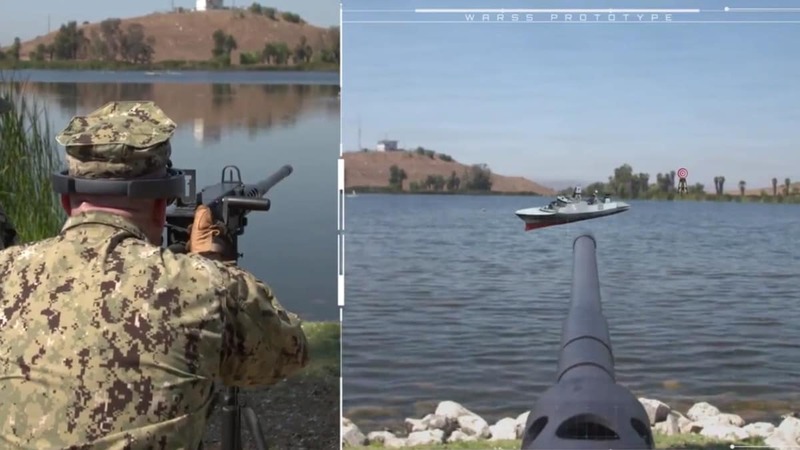 The Navy is experimenting with a system that could help make those manning the fleet’s guns more ready to react to a threat. Dubbed the Weapons Augmented Reality Scoring System, or WARSS, the system developed by Naval Surface Warfare Center, Corona Division, provides more of an interactive experience than shooting a drifting “killer tomato” target or puffing away in the flat, air-conditioned sim world of a FATS trainer or Engagement Skills Trainer system. The solution is to put the Sailor in a real-world setting with a weapon rigged for blanks and have them engage realistic computer-generated 3D targets that come into the user’s view. Kind of like Walking Dead: Our World or Pokemon Go, but with a .50 caliber M2 and the threat of a mando funday.